Russel Farnham (1784-1832) – Explorer and fur trader, Farnham was an agent of John Jacob Astor’s American Fur Company. Mike Fink (1770-1823) – A keelboatman and fur trader, he was also a renowned marksman, roisterer, and champion rough-and-tumble fighter. 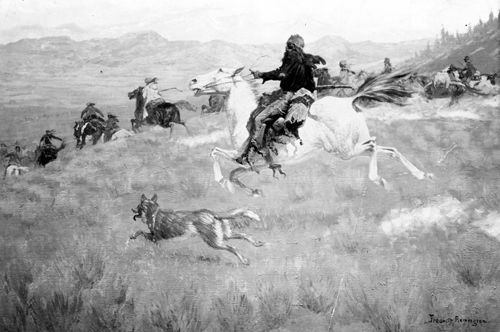 He joined William Henry Ashley’s first fur-trapping and trading expedition to the upper Missouri River country and was killed in a quarrel the next year. Thomas Fitzpatrick, aka: Broken Hand (1799-1854) – A mountain man and Indian agent, Fitzpatrick was involved in many of the most important events in the opening of the West. Lucien Fontenelle (1800-1839) – A fur trader, Fontenelle, was associated with several fur companies before becoming part of the American Fur Company. John Charles Fremont (1813-1890) – Was an explorer, military officer, and politician who led multiple surveying expeditions through the western territory of the United States. Juan de Fuca (15??-1601?) – A Greek navigator who sailed for Spain under a Spanish name. Joseph Goff Gale (1807-1881) – A trapper, pioneer and politician, Gale was born at Washington, D.C. on April 29, 1807. He was well educated as a child and when he grew up he made his way west. In 1831, he accompanied Ewing Young from Taos, New Mexico to California and the next two years he was trapping on the Snake River. In 1834, he worked in the Rocky Mountains and California, making his way to Oregon by late in the year. For the next four years, he worked out of Fort Hall, Idaho and married a Umatilla Indian woman. In 1838, he settled in the Willamette Valley of Oregon. There, he and several others built a ship in which they intended to hunt sea otter; however, this was short-lived as, after sailing it to San Francisco, they sold the ship and drove cattle back to Oregon in 1853. He was elected one of three different governors of Oregon that summer. In 1848, he returned to California, where he lived for a time, before returning to Oregon in about 1862. He died in Eagle Valley, Oregon on December 13, 1881. John Gannt (1790-1849) – A soldier, trapper, trader and guide, Gannt was born at Queen Anne, Maryland in 1790 and later moved with his family to Kentucky. In 1817, he joined the army, spending 12 years in service, eventually rising to the rank of captain. He served at several frontier posts and was with Colonel Henry Leavenworth during the Arikara War in 1823. Several years later, on May 12, 1829, he was found guilty of falsification of pay accounts and was dismissed from the army. The next year, he joined Jefferson Blackwell in a fur trading partnership and they soon began operations in the upper Rocky Mountains. Later, they moved to the upper Arkansas River, where they established a trading post near present-day Pueblo, Colorado. They were the first to trade with the Arapaho and Cheyenne tribes in any volume. The firm went out of business in 1834, and Gannt then helped William Bent in establishing Bent’s Fort. In 1835, he guided Henry Dodge’s expedition to the Colorado Rockies. In later became an Indian agent for the Pottawatomie tribe at Council Bluffs in 1838, but by 1843, was once again acting as a guide. He then went to California where he lived the rest of his life. He died in Napa Valley, California on February 14, 1849, of ear trouble. Father Francisco Tomas Garces (1738-1781) – A Spanish Franciscan priest who was a missionary and explorer. Hugh Glass (1780?-1833) – A trapper and trader in the American West, he was killed by Arikara Indians. Antoine Godin (1805?-1836) – A Canadian fur trapper and explorer, who is most noted for the public murder of a Gros Ventre chief which led to the Battle of Pierre’s Hole in Idaho. Josiah Gregg (1806-1850) – Trader, explorer, and writer, he is best known for his book, Commerce on the Prairies, which described his adventures along the Santa Fe Trail. John W. Gunnison (1812-1853) – After serving in the Florida War of 1837-1839, Gunnison spent the next ten years surveying the lakes and harbors of the great northwestern United States. Alexander Harvey (1808-1854) – Harvey was one of the boldest men and most reckless desperadoes known to the fur trade. Despite his fierce temper and known cruelty, he worked in the fur industry for years. John L. Hatcher (1812?-1897?) 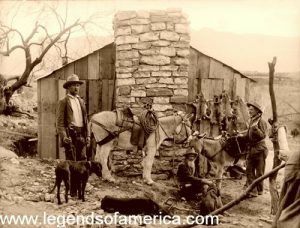 – Frontiersman and Army Scout, Hatcher was born in Botetourt County, Virginia in about 1812. When he grew up, he headed west and was in St. Louis, Missouri about 1835. He then headed out with the Charles Bent and Ceran St. Vrain party to present-day Colorado, where he worked at Bent’s Fort for several years. He lived for a time with the Kiowa Indians and when Lieutenant J.W. Abert, explored the Texas Panhandle, he acted as a guide. During the Mexican-American War, he became an Army scout, which he continued until after the hostilities were over. Later, he was driving sheep from Missouri to California in 1858. He settled in the Sonoma Valley the following year. In 1867, he moved to Oregon, where he spent the rest of his life. He died on his farm in Linn County, Oregon in 1897. 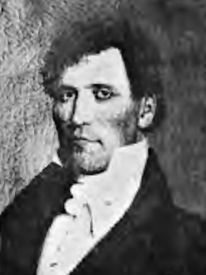 Andrew Henry (1775-1832) – A fur trader, he joined with Manuel Lisa, Jean Pierre Choteau and William Clark to found the Missouri Fur Company in 1809. Born in Fayette County, Pennsylvania in 1775, Andrew Henry became a fur trader and in 1809 joined with Manuel Lisa, Jean Pierre Choteau and William Clark to found the Missouri Fur Company. He led an expedition to the Three Forks in Montana where he built a trading post in 1810. The following year he explored the Montana–Idaho wilderness and discovered Lake Henry and built another trading post near present-day Saint Anthony, Idaho. After difficulties with the Blackfoot Indians, Henry returned to St. Louis in January 1812 and soon joined the War of 1812, rising to the rank of Major. In 1822, he started the Rocky Mountain Fur Company with William H. Ashley and led an expedition of 150 men to the mouth of the Yellowstone River and built a post that came to be known as Fort Henry in Montana. In 1824, Henry retired to Missouri and died on January 10, 1832. Valentine Johnson “Rube” Herring (1812-1883) – Born in Illinois in 1812, he received a fair education as a child and when he grew up, he went to St. Louis, Missouri. In 1831, he was hired by John Gantt for a trapping expedition in the Rocky Mountains. Two years later, he was working with William Sublette on the upper Missouri River. He then returned to St. Louis, where he was hired by Nathaniel Wyeth to guide him to Fort Hall, Idaho. He eventually became a free trapper. In 1841-42, he was in charge of Fort Lancaster, in eastern Colorado. Spending considerable time at Taos, New Mexico, he got into a gunfight with a man named Henry Beer over a Mexican woman. In 1849 he went to California, where he settled in San Bernardino County. He became superintendent of schools in 1853, served as justice of the peace, county assessor and other offices, including sheriff in 1859. He died in 1883. Captain James Hobbs (1819-1880) – Also known as Comanche Jim, Hobbs was the Great-grandson of renowned Shawnee Indian Chief, Tecumseh. He was on a fur-trading expedition under Charles Bent, destined for Bent’s Fort, Colorado in 1835. Just 16 years-old, he and a friend ventured away from the caravan chasing buffalo and were captured by Comanche Indians, with whom they would spend the next several years and became a strong warrior. He and his friend were later Charles Bent, who paid the chief a ransom for his release. He then spent a number of years roaming the Southwest with the likes of Kit Carson. He would also become a Texas Ranger, and fought in the Mexican-American War, and the Civil War. He died in November 1880 and is buried at the Dayton National Cemetery in Ohio. Henry Hudson – An English explorer, Hudson is best known for his explorations of present-day Canada and parts of the northeastern United States. Hudson’s Bay Company (1670-present) – Chartered on May 2, 1670, the Hudson’s Bay Company (HBC) is the oldest commercial corporation in North America and is one of the oldest in the world. Its trappers and traders were some of the first explorers of the North American continent.